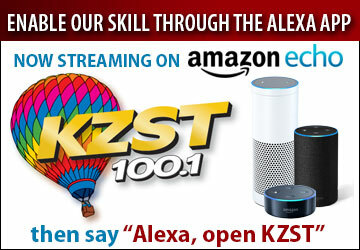 Enjoy the music of KZST 100.1 while you're out of our listening area. Our apps are available on the App Store for IOS devices and the Google Play store. Just search for “KZST 100.1”.